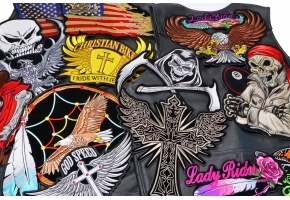 The Original Lower Rocker patch measures 12x4 inches. 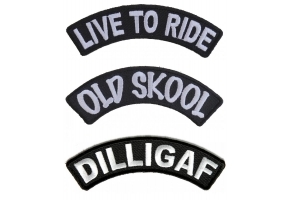 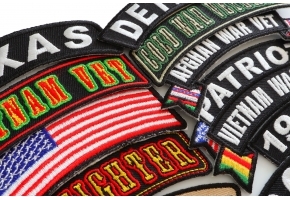 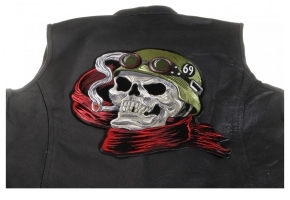 Embroidered in black white and red the lower rocker patch is designed to go on the bottom back of your jacket. 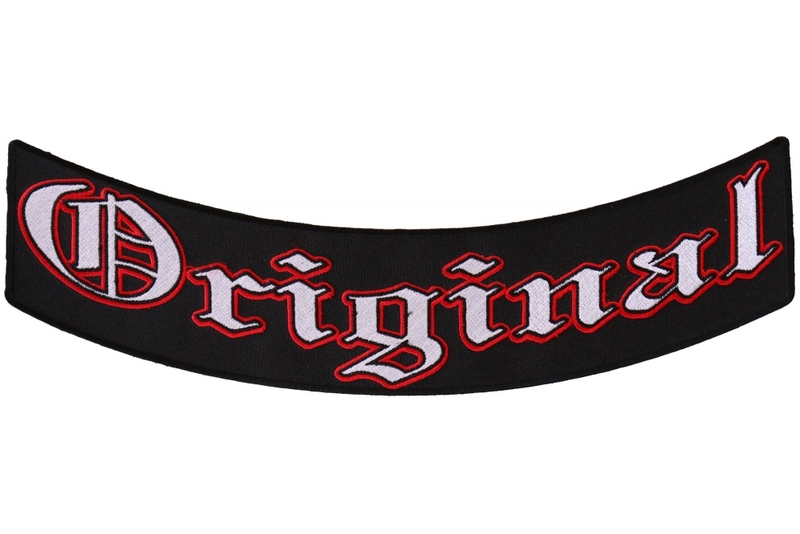 Original is Embroidered in old English letters. 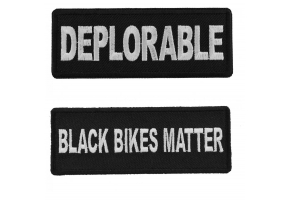 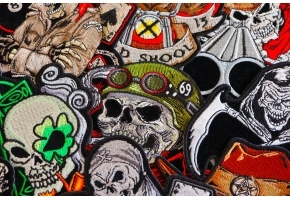 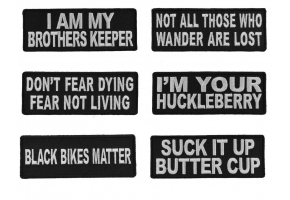 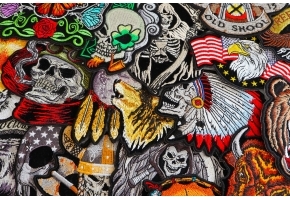 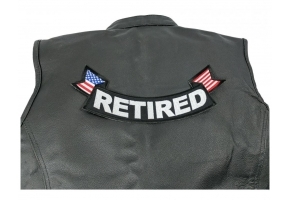 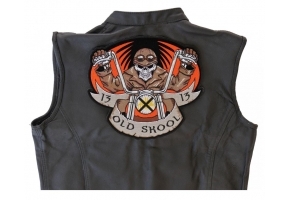 Usually original members of a Motorcycle Club puts this patch on the back of his jacket to distinguish that he is one of the original founders.